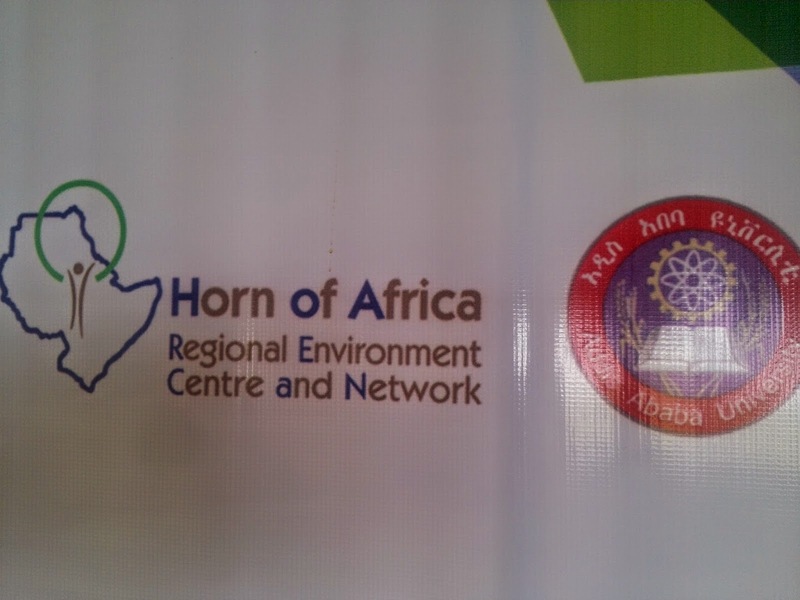 The Horn of Africa Re- Greening projects were established to promote valuable ecosystems and the bio diversity in the Horn of Africa Regions through the rehabilitaion of degraded areas and to enhance the the benefits of ecosystem good and services among its people and communities. Over the years the Horn of Africa region had face alarming levels of environmental degradation as a result of unsustainable land mangement and natural resource use. This led to the dwindling of the natural forest cover for years leading to an enviromental deterioration according to the Re greening program cordinator Dr. Almaz Tadesse. "While contributing to the poorer livelihood conditions, they was increased vulnerability to the climate change impacts that brought terrible consequences on the people and their resources" Dr Almaz remarked. It was within this back drop that the Re- greening project was established to Appropriately addresse key environmental and social issues in relation to land degradation in the Horn of Africa. "The challenge was how to sustainably rehabilitate degraded ecosystems at landscape levels and to minimise future damages in the region."Dr. Almaz said. The first implementation plan was to form partnerhsips with relevant stakeholders within the communities to buttress the programs at the community levels and to ensure the sustainability of different activities. "At the moment the project has three locations where the Re greening project is going on in Ethiopia. The Addsi Ababa Mountain Range, Rift Vlley and the Gambella" Dr. Almaz continued. The are also prospects to carry the program to the Northern highlands according to Dr Almaz. The Northern parts of Ethiopia are experiencing either a lack of proper conservation modules or soil and land degradation at a high rate as a result of anthropogenic factors. The stultifying effects of the climate changes are making things worse. In the three main areas where the Re- Greening projects are taking place, Reforestation is a major activity and a total of 500.000 indegenous tree seedlings have been planted annually over the last three years. These tree planting projects hold under tree planting ceremonies involving the concerned communities, according to Dr Almaz. Other livelihood projects involve the distribution of bee hives and apple tree seedlings to selected farm families for the improvement of their income and nutrition. "The aim is not only to enrich the forest and to protect the water sheds from soil erosion, but also to involve logically the beneficary communities directly in the conservation of the ecosystems as a means of sustaining their livelihoods"Dr. Almaz posits. The Re-Greening programs have some short term goals- there are nursing plans to develop a community base natural forest in the Buska Area and to cordinate a non timber forest product value chain development projects in the Rift valley and the Gambella forest areas to maximize the proper conservation of the ecosystems in the whole of Addis-Ababa.